Many restaurants in Sarasota are joining the local-market movement of maintaining a menu full of fresh and healthy locally sourced foods. Farm to table restaurants in Sarasota, such as Indigenous Restaurant, BOCA, MADE, Social Eatery and Bar, and The Rosemary, are dedicated to providing their customers with fresh foods and obtaining their ingredients from local markets. The menu for Indigenous Restaurant is sure to stay fresh and new with their commitment to rotating seasonal ingredients and innovative menu items. Their exquisite seasonal menu ranges on the higher price end, and consists of American cuisine, seafood, and vegetarian options. This restaurant in Sarasota is located in an old restored home; the establishment matches its historic surroundings of the Towles Court district. Both indoor and outdoor dining is available to serve customers their delectable dishes, such as those incorporating grass-fed beef, Gulf shrimp, fresh fish, and slow-cooked pork. Indigenous Restaurant is open from 5:30 to 8:30 p.m., Tuesday through Saturday. It is located at 239 S. Links Ave., Sarasota, FL. BOCA focuses on its farm to table delivery, while still prioritizing its service and incredible creative American cuisine. Menu items include market specials like smoked cachaça chicken, grass fed beef burgers, Florida pink shrimp, sea scallops, skirt steak and daily pig, only offered when it can be found fresh. The focused and well-rounded menu is based on quality ingredients obtained from local farmers and fishermen. This way, customers are guaranteed a high-quality and locally sourced meal. BOCA has a bar and a market along with the restaurant and kitchen. This restaurant is open Monday-Wednesday from 11 a.m. to 11 p.m., Thursday from 11 a.m. to 12 a.m., Friday from 11 a.m. to 1 a.m., Saturday from 9:30 a.m. to 12 a.m., and Sunday from 9:30am to 11 p.m.
BOCA also serves breakfast on the weekends from 9:30 a.m. to 4 p.m. Visit the Sarasota location at 19 S. Lemon Ave., Sarasota, FL. This unique and upscale restaurant has been awarded best new restaurant by Sarasota Magazine, and best local restaurant by Readers Choice. MADE is the perfect spot for those looking for a distinctive take on American foods, such as short ribs, chargrilled rainbow trout, Atlantic salmon, lamb chops, all-natural chicken, and beef-blend burgers. MADE is moderately priced, and open Tuesday through Thursday from 11:30 a.m. to 2:30 p.m. and 4:30 to 10 p.m., Friday from 11:30 a.m. to 11 p.m., Saturday from 5 to 11 p.m., and Sunday from 10 a.m. to 3 p.m. It is located at 1990 Main St. #112, Sarasota, FL. The Social Eatery & Bar is one of the more elegant restaurants located in Sarasota. The indoor and outdoor décor and upscale atmosphere is designed for a relaxing dining experience to celebrate all occasions. The restaurant and bar serve Italian and American specialties at moderate prices. This establishment focuses on sourcing its ingredients from nearby farms. Pizzas are made in a wood fired oven. Enjoy an innovative craft cocktail after dinner – another unique feature that this restaurant is well known for. You can appreciate this sophisticated dining experience Monday through Thursday, and on Sunday, from 5 to 11 p.m. Hours for Friday and Saturday are 5 p.m. to 1 a.m. The Social Eatery & Bar is located on 1219 First St., Sarasota, Florida. The Rosemary is an American themed bistro located in downtown Sarasota. It serves both contemporary and traditional dishes for reasonable prices, focusing on creating healthy and yet appetizing entrees. Dishes are made from scratch with fresh ingredients obtained from nearby farms. 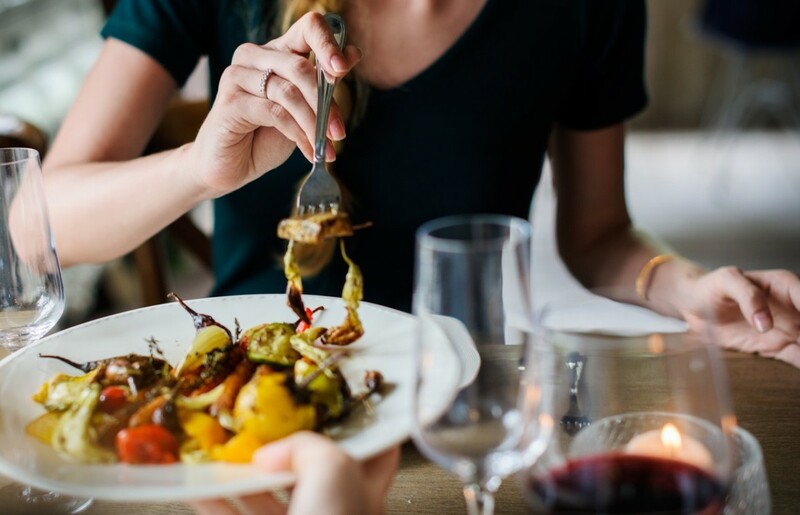 This restaurant in Sarasota serves delectable dishes such as red snapper filets, salmon, vegetarian dishes, brisket, beef tenderloins, and shrimp fettuccine. The Rosemary is located at 411 N Orange Ave, Sarasota, FL and open daily from 8 a.m. to 2:30 p.m., and 5 p.m. to 9 p.m.